With an eager attitude to gain knowledge on Bonsai, fifty five enthusiastic students along with a few parents and teachers attended ‘The Navhind Times Planet J Bonsai Workshop’ on Sunday, January 10 at Dempo House, Panaji. The half-day workshop aimed at presenting the ancient art form to participants and giving them tips on how to go about creating a bonsai tree and garden. 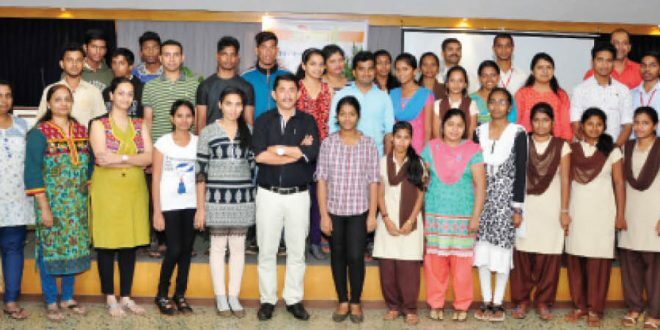 Conducted by Daniel D’Souza, horticulturist and landscape designer, responsible for introducing bonsai in Goa; the workshop was extremely interactive and had students participating from the word go. The meticulously planned agenda included a selection of plants, styles and sizes, soil, containers, tools and equipment, potting and re-potting, training, wiring, pruning, water and manure, pests and diseases, Mame bonsai, identifying plants and bonsai etiquette. In the session that covered tools and equipment, Daniel explained various implements and also had a practical session wherein participants were invited on stage and given an opportunity to prune some of the trees that were on display. Bonsai etiquette and various guidelines on growing bonsai were provided and participants were seen jotting down all that he said. “Do not criticise anyone’s collection or touch another’s bonsai,” he reiterated. Throughout the workshop participants were encouraged to interact and at the end of the presentation, a quiz was held whereby participants were asked to name the different bonsai styles. Many attempted to remember all fourteen styles but only two succeeded and were given prizes. The workshop ended with certificates of participation being handed out by Daniel.